Greater Manchester M1 Hard Floor Cleaning Domestic & Commercial | Quality Property Care Ltd. Does your formerly beautiful ceramic tile floor have micro scratches, dull spots and watermarks? 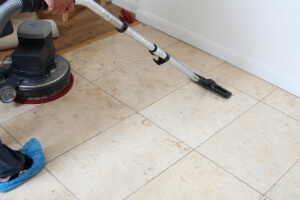 Don’t worry, there is a professional hard floor cleaning company, which can help with your porcelain and ceramic grout and tile cleaning and restoration. 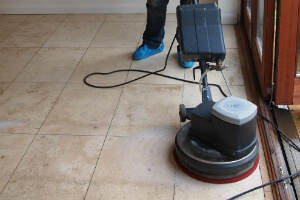 Quality Property Care Ltd. offers top quality hard floor cleaning services for residential and commercial hard floor cleaning in Greater Manchester M1. The professional cleaners are trained and equipped for professional hard floor cleaning, scrubbing, polishing, sealing, tile recoat and an anti-slip protection service at a great hard floor cleaning price. The company offers domestic and commercial hard floor maintenance, and can take care of a wide variety of hard floors. Don’t wait to contact the expert customer service available by sending an online request or calling and ask for a free offer now. Floors vary in density, how they are worn though time, how much they get damaged and so on and so forth. We’ve made an effort to cover as many of these floor types as we can in order to be as helpful and useful to the Greater Manchester M1 local community as we can. The entire cleaning process starts with the assessment of the type and condition of your floor. Furniture which is in the way is moved, though we do prefer that the client has done so already before our arrival. This lowers the chance of damaging the piece of furniture and the floor that is being moved. Unlike the indoor floor cleaning services, which usually involve a spray, scrub, vacuum, dry and rinse treatment, the professional driveway cleaning and patio cleaning offered by the company involves pressure washing. The Quality Property Care Ltd. cleaners are equipped with powerful jet washing equipment which they will use to safely provide you with professional exterior cleaning of your paths, decks and drives. Any residue, mold, dirt will be washed off of your outdoor space and it will look clean and perfect for spending more time there. So, if you want your outdoor space to be perfectly clean, and your indoor floors to be rejuvenated, shiny and protected once again, book the professional hard floor cleaning services from Quality Property Care Ltd. of the company right away. The full customer support is guaranteed and the final outcomes are always surprising and effective. Use this phone numbers 0161 823 0325 or move to the online booking form for requests. Call our Greater Manchester M1 floor polishing customer support representatives – get a free quote or book your floor services right away.